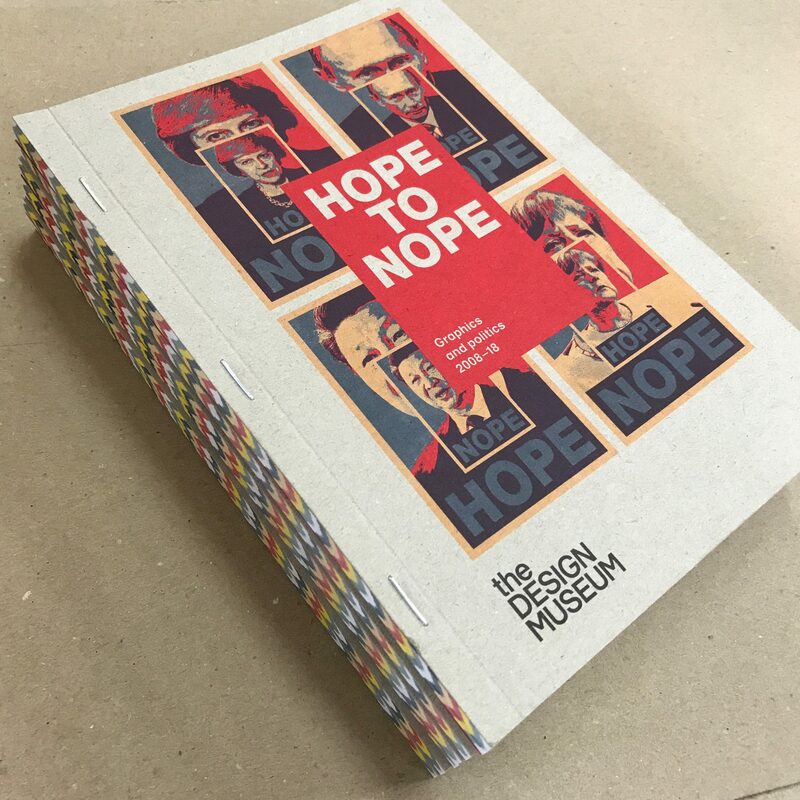 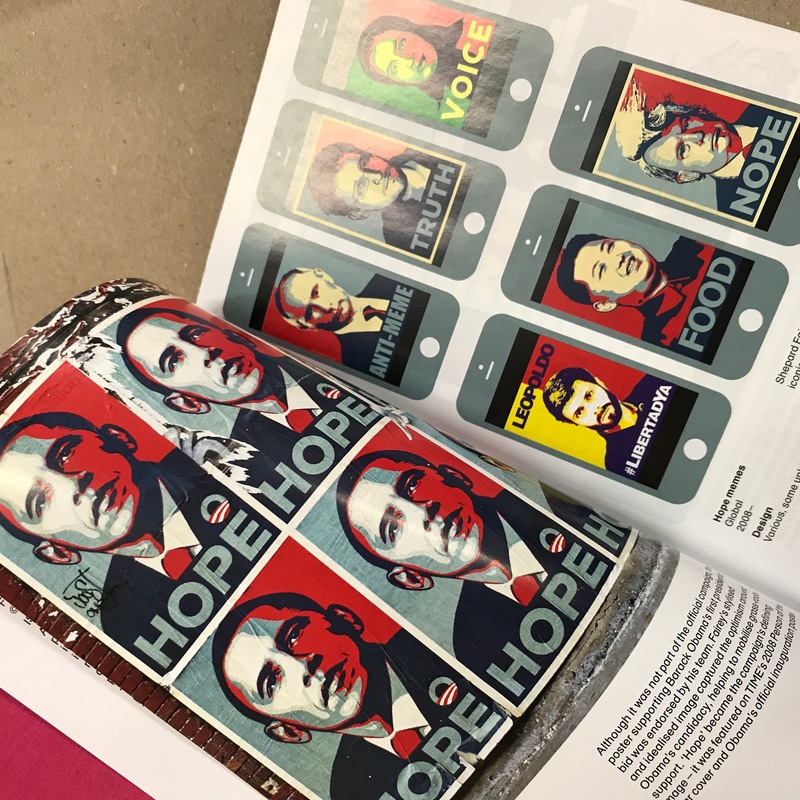 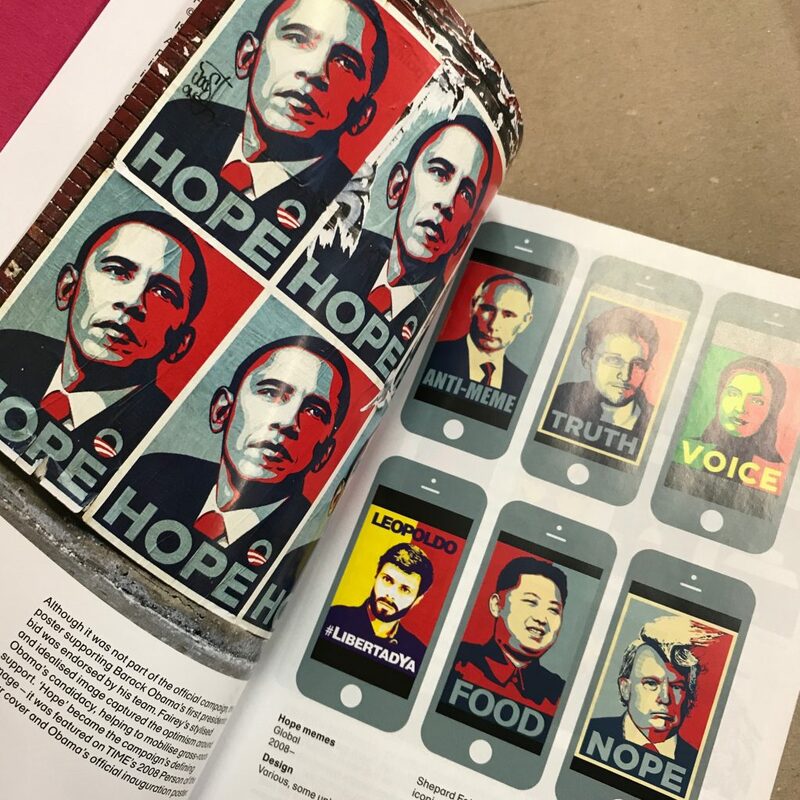 Alongside interviews with celebrated graphic designer Milton Glaser and street artist Shepard Fairey, the ‘Hope to Nope’ exhibition catalogue explores the role of graphic design in one of the most politically turbulent decades in recent history. 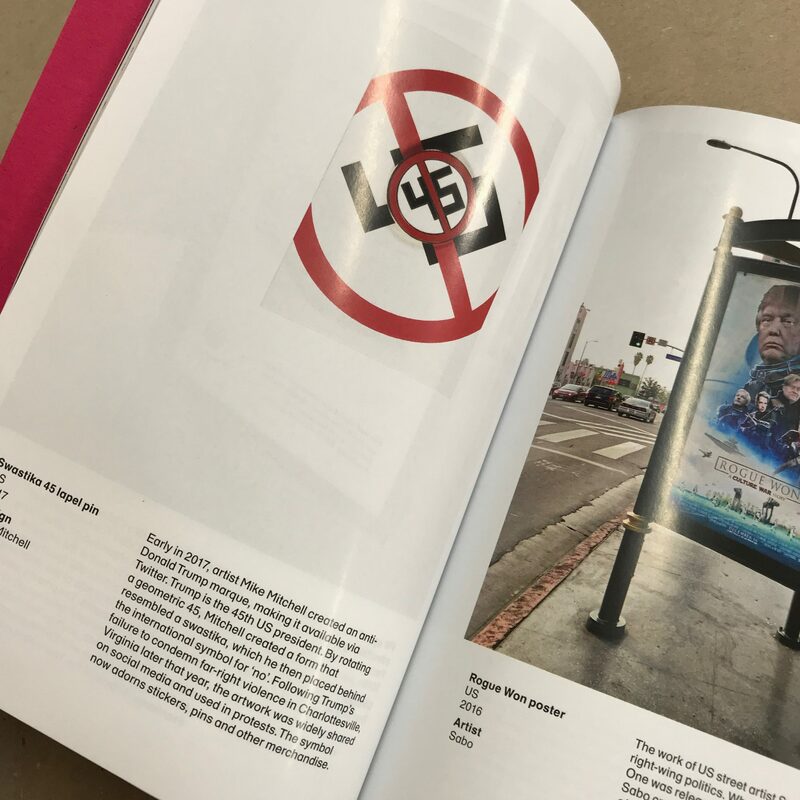 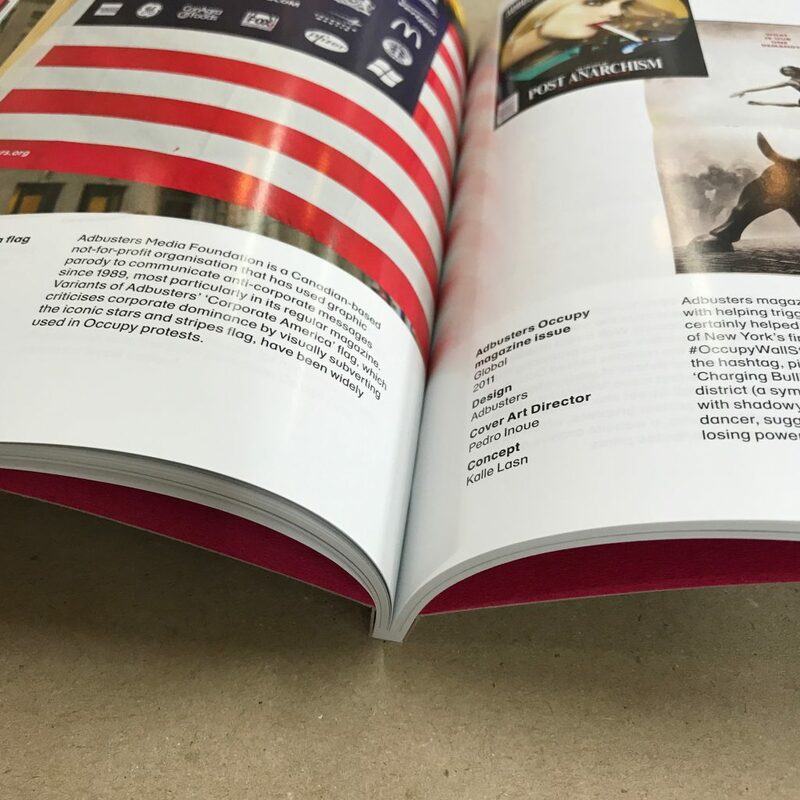 and the meme, the influence and impact of graphic design has never been greater or more international in its reach; from North Korean propaganda and fake posts disseminated by Russian troll farms to the recent revelations about Cambridge Analytica allegedly using people’s Facebook data to produce advertising to target and persuade US voters. 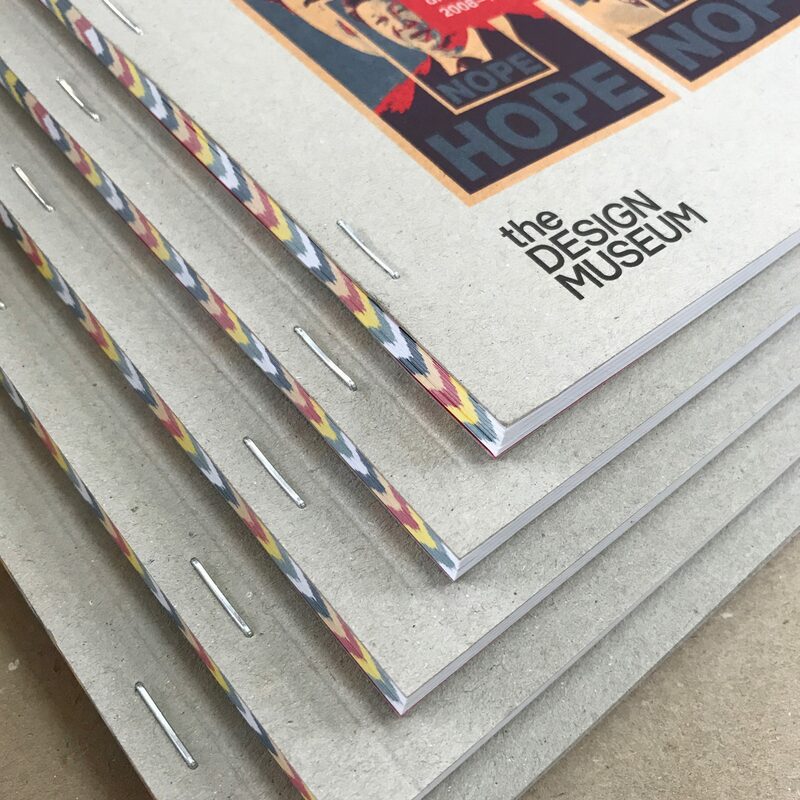 The Design Museum exhibition reflects how graphic design gives voice to political hopes and fears around the world… and is a good example of why the museum was recently named as European museum of the year 2018. 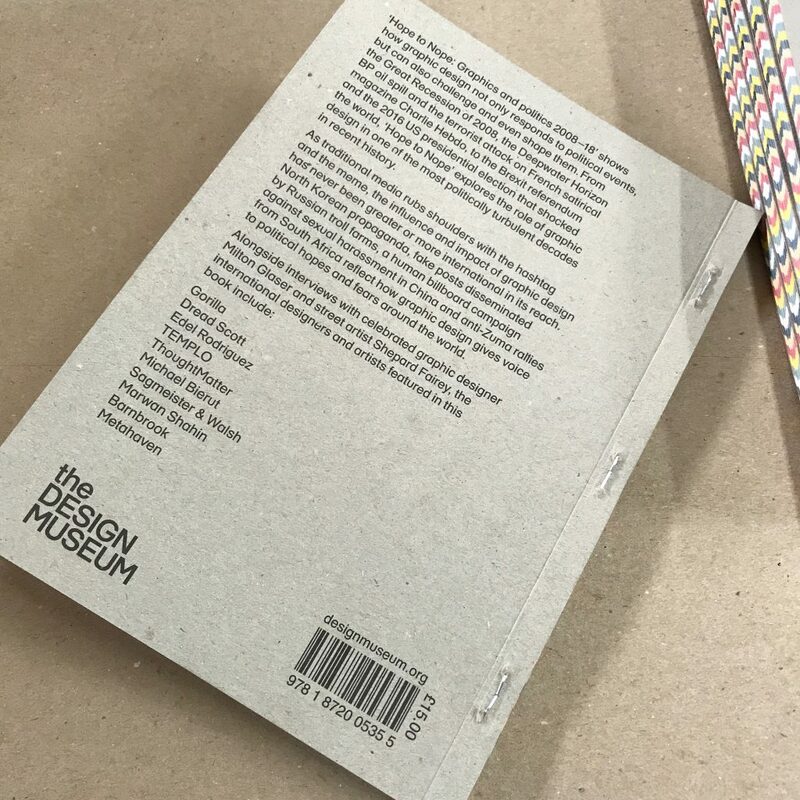 The museum asked GP to work with Lucienne Roberts and John McGill from GraphicDesign& on the development and production of the publication; comprising stab-stitch binding with chevron graphics printed on an open spine and fluorescent pms 806 used on the Nomad Grey Rough cover stock, to help echo the same lo-fi utility aesthetic incorporated in the exhibition.